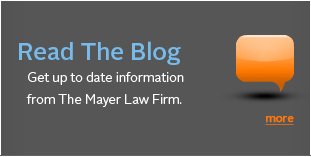 Connect with The Mayer Law Firm today! If you've been arrested and charged with a criminal offense, it is extremely important that you hire skilled legal representation as soon as possible in order to protect your rights and interests. I am Attorney James Mayer from The Mayer Law Firm and I am prepared to provide you with the aggressive defense you need to fight the charges against you and safeguard your future. Since the beginning of my career, I have built a reputation throughout North Central Ohio as an aggressive negotiator and trial lawyer. I spent the first seven years as a criminal felony prosecutor, which gives me an invaluable perspective into the other side of the justice system and an excellent working relationship with law enforcement. My thorough experience serves as a tremendous advantage to my criminal defense clients — and it is something that few other law firms can offer. Call my office or fill out an online form to get in touch. With a track record that includes 18 years of experience in criminal law and over 50 jury and / or bench trials, I understand both sides of the courtroom and I am prepared to provide you with a strong defense that is specifically designed to combat the accusations made by the prosecution. Your situation is important to me, and as your attorney you can be sure that I will fight alongside you to pursue the results you need and deserve. With experience in handling a wide range of cases from felonies to traffic violations — and even obtaining expungements for my clients in order to give them a clean record and a fresh start — I am thoroughly versed in the state and federal laws that apply to your unique situation. From day one, I will thoroughly examine every aspect of your case in order to gather the necessary details, evaluate the evidence, and formulate a strategy that addresses the circumstances you face and the best possible means of obtaining a satisfactory outcome. Each of my clients is important to me, which is why I offer 24 / 7 contact availability. This means that you can contact me during nights, weekends, and holidays if necessary. My phone is never off and the lines of communication are never closed. I am proud of the fact that many of my new cases come to me by referral from my past clients or from other lawyers. This demonstrates the fact that I care deeply for each client and will go the extra mile every time to ensure the results and treatment they deserve. Facing charges? Call The Mayer Law Firm today! If you need quality legal defense in the state of Ohio, don't wait. I encourage clients to hire me during the pre-indictment phase because it is best to begin the defense before formal charges are filed. At The Mayer Law Firm, my list of successful cases speaks for itself. Don't hesitate to take advantage of the free case evaluation I offer if you are seeking representation for your criminal related case. During this meeting, you can learn more about how I am prepared to help you with no financial commitment required. I will assess your case and help you understand your options, so you can make an informed decision about what to do. Call The Mayer Law Firm today for tenacious, effective defense of your rights against criminal charges. My firm proudly represents clients in Richland, Franklin, Crawford, Delaware, and Fairfield counties and communities including Shelby, Galion, Bucyrus, Lexington and Ontario. Phone: (419) 951-4308 | Local Phone: (614) 733-8348.